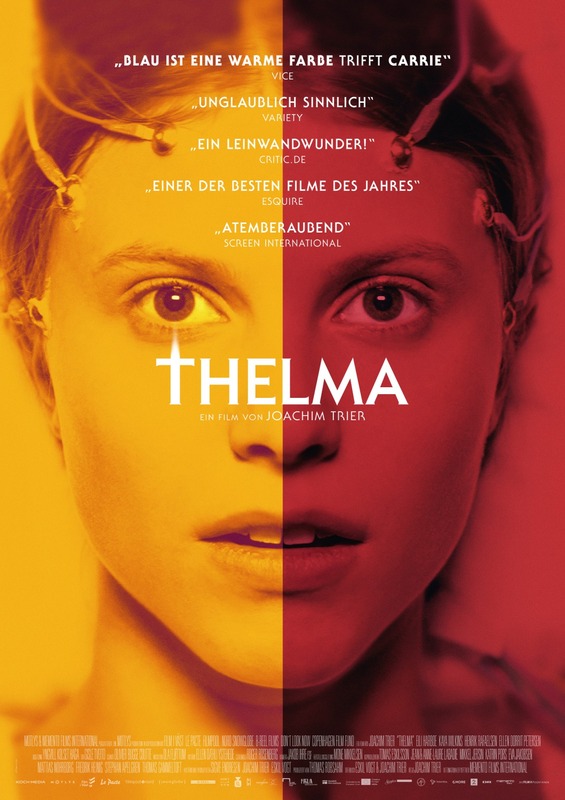 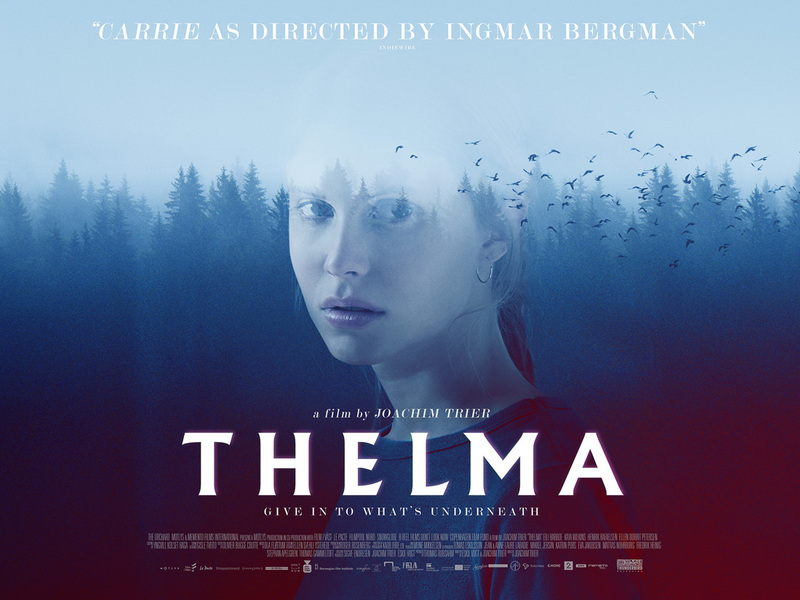 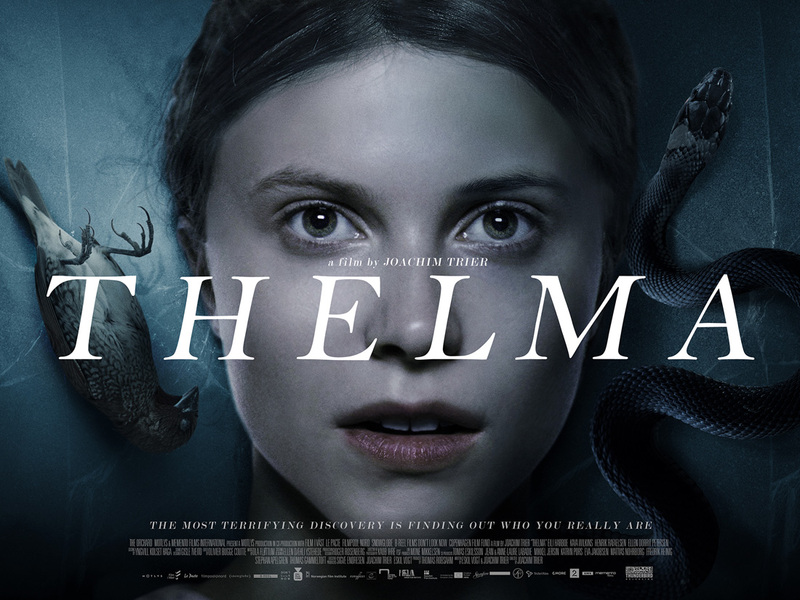 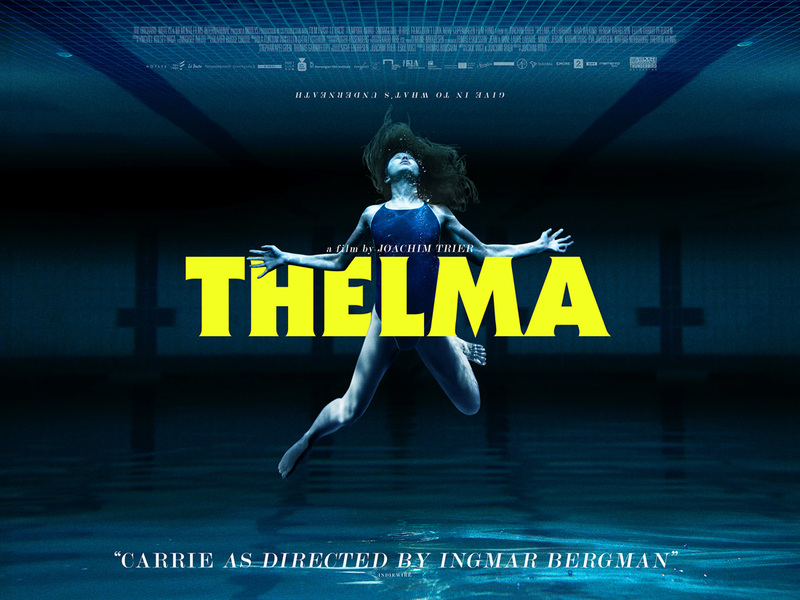 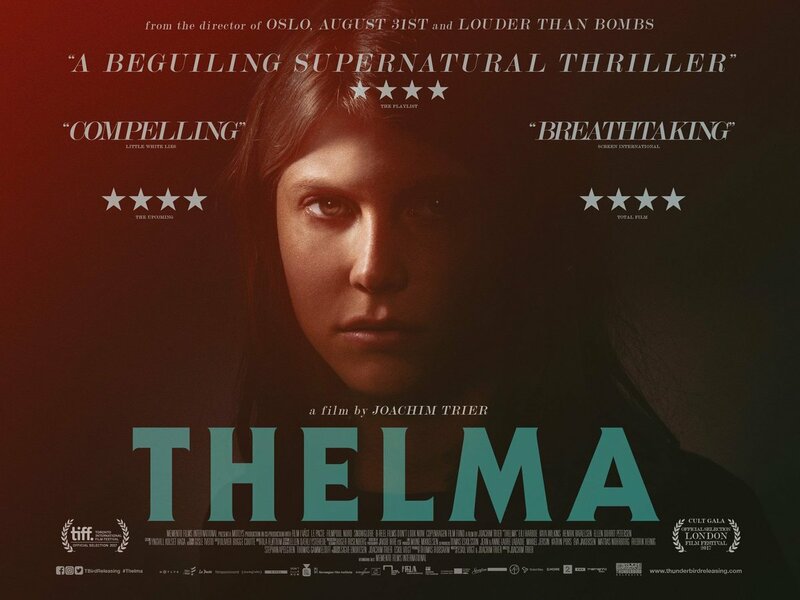 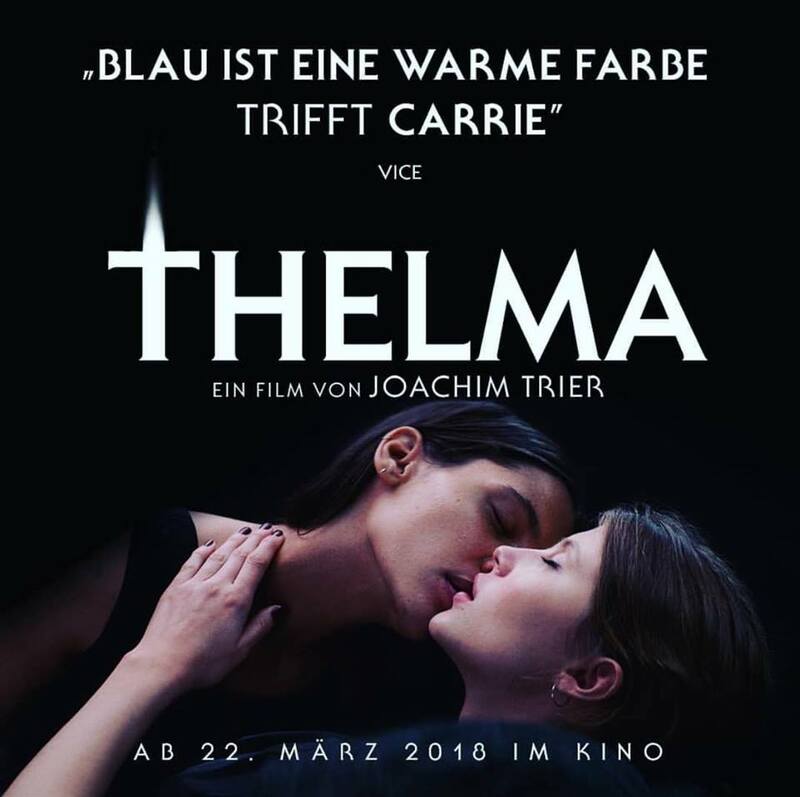 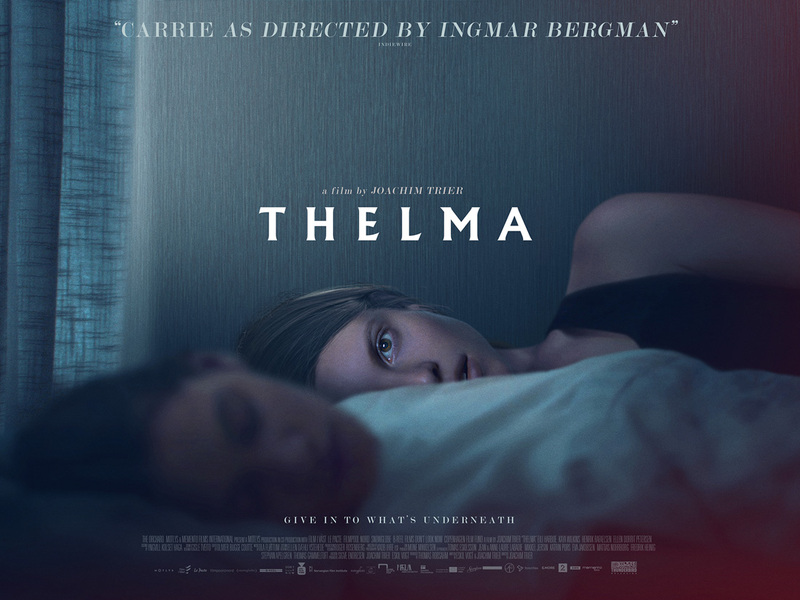 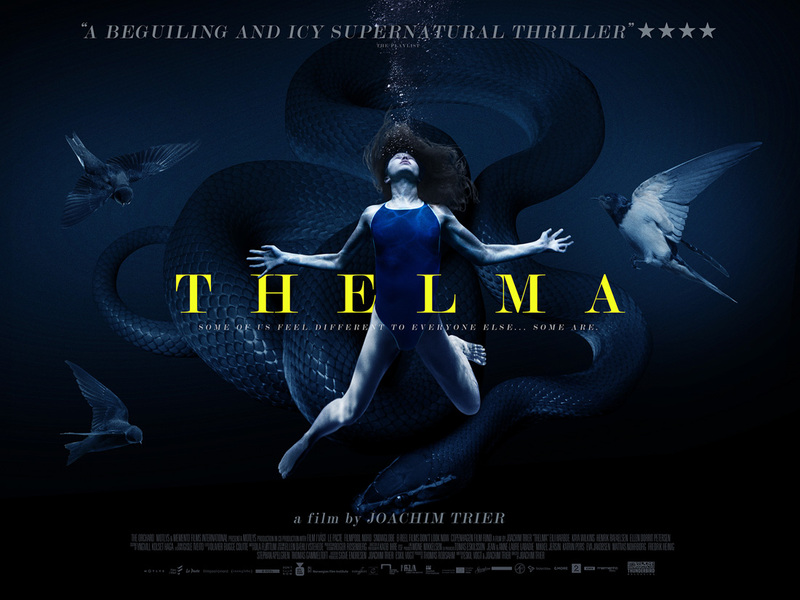 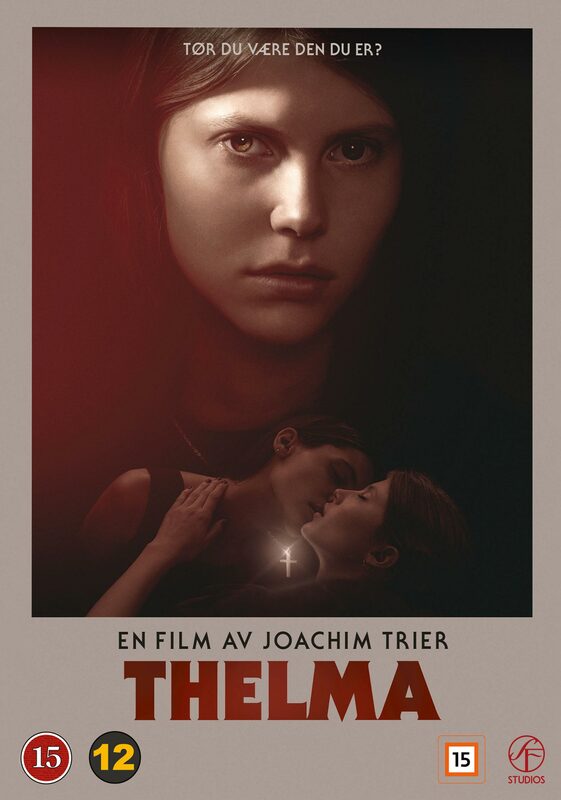 Poster and art gallery in honour of the record-breaking number of Amanda nominations for Thelma, Joachim Trier’s supernatural drama that became one of the most applauded Norwegian genre movies in recent times. 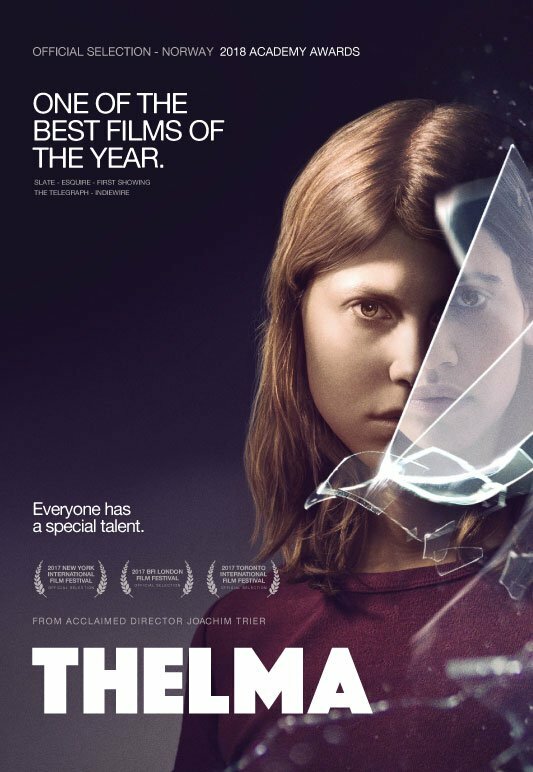 The young student Thelma moves to Oslo where she falls in love with another girl, and soon discovers that her feelings trigger inexplicable powers. 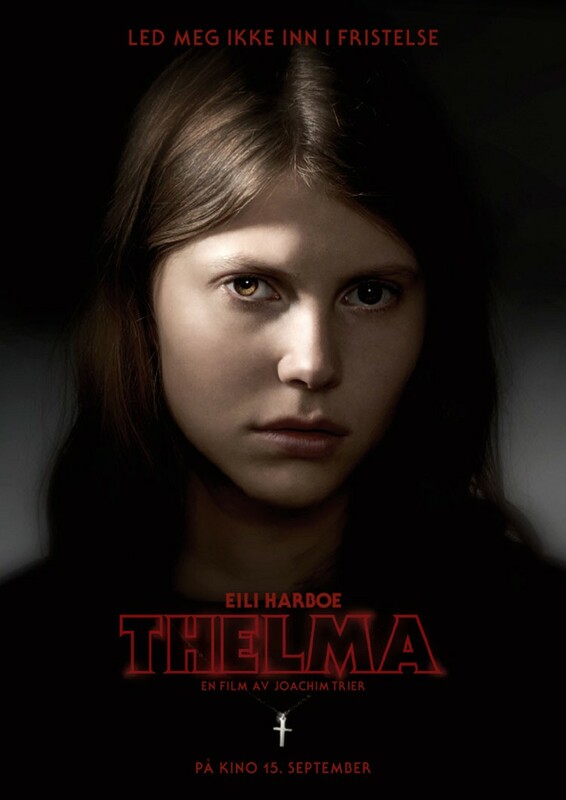 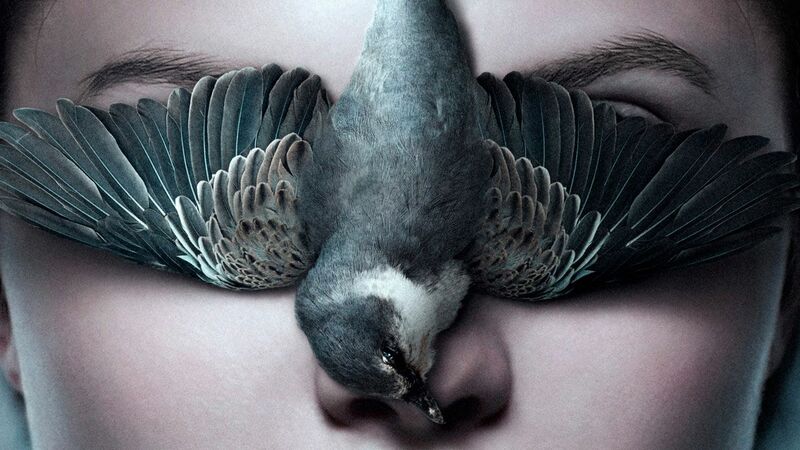 This summer, the supernatural drama was nominated for 12 Amanda awards, the Norwegian Oscar / BAFTA. 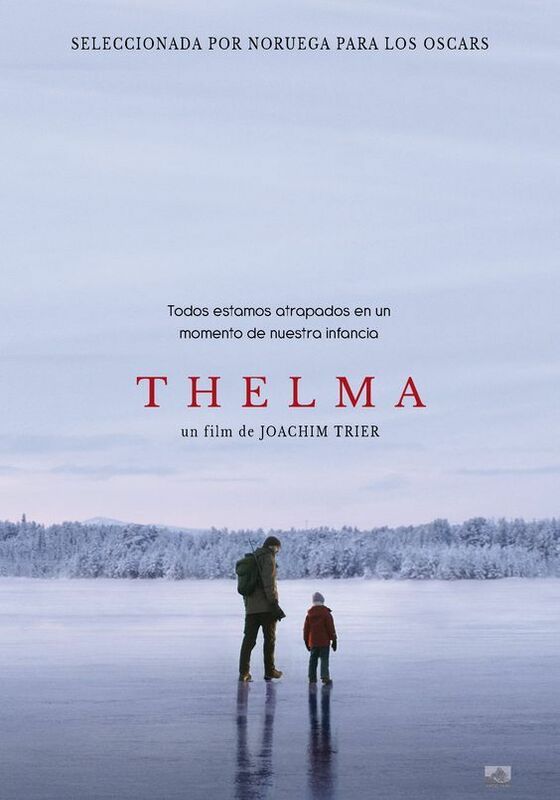 Perhaps you’ll find the movie interesting too, when studying the offical teaser art, posters and packaging designs. 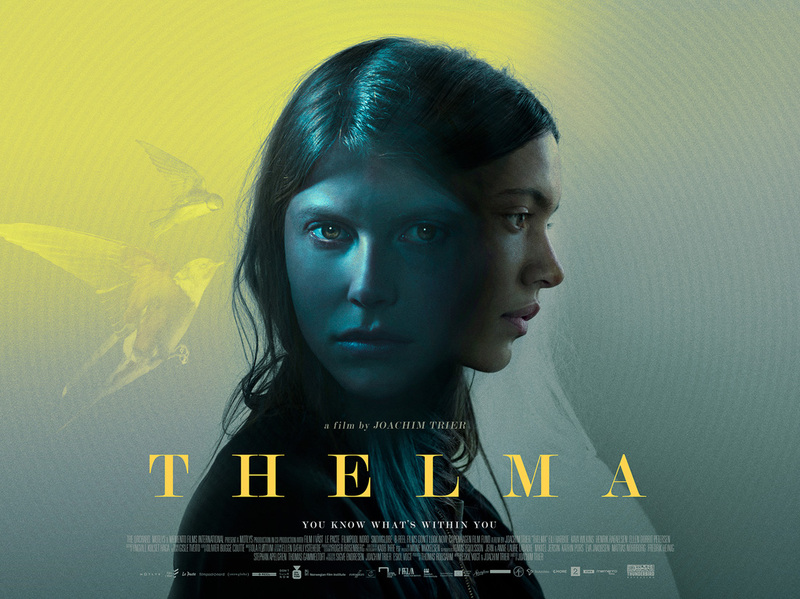 And, for your enjoyment, we also bring a set of poster designs by Ben Parker, commissioned by Thunderbird Releasing in the UK. 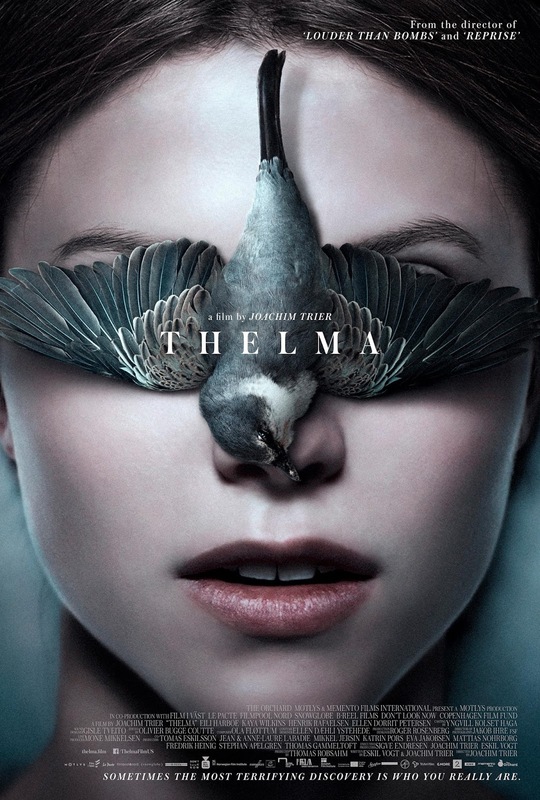 These posters were eventually not used, but you can see Ben’s art on the UK DVD in the gallery above. 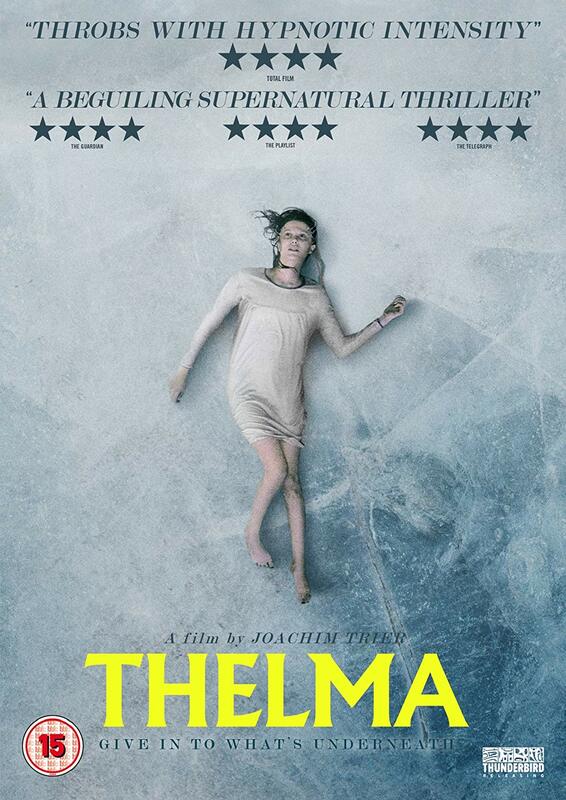 The girl lying on ice was part of the campaign material.